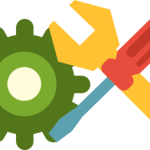 To change price color please go to Product Settings > Catalog Design > Product Page and find Product Page Colors section. 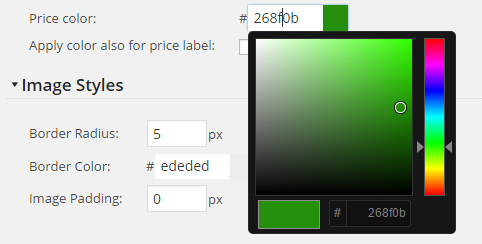 You can change price color by clicking the field near Price color label. When you click the color or color code the color picker will appear. To choose a price color click it on the right and then adjust on the left. Click outside of the color picker when you are finish and save the settings. The new price color will be applied immediately. You can also apply the color to the price label. To do it check the Apply color also for price label checkbox located under the price color setting.